Celebrate the birth of a miracle in the most humorous, bright and cheery of ways with this brilliant The Bright Side Baby Book, packed full of ways to document a little one’s first steps, birthing stories, funny traits and parent’s involvement! 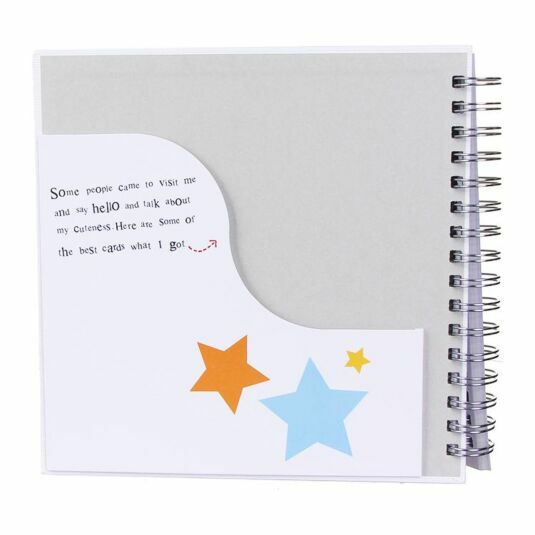 This baby book is ring-bound meaning it’s very easy to navigate throughout, with the front and back covers made from a hardened white card material. 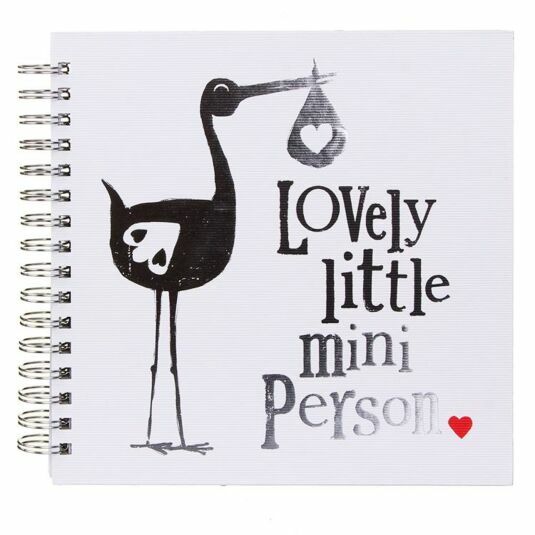 The front cover of this book features a metallic print stork, carrying a baby bundle, and printed on the side with the words ‘Lovely Little Mini Person’ in a mixture of black and metallic fonts. The interior of this book features large square pages, covering absolutely everything there is to document about a little ones arrival. From a profile of the doctors that helped to a taste chart of favourite baby foods, this book will leave parents in stitches whilst acing as a special way of remembering such a special time. In each end of the book two large pockets are found to store any keepsakes baby cards, photographs and more. 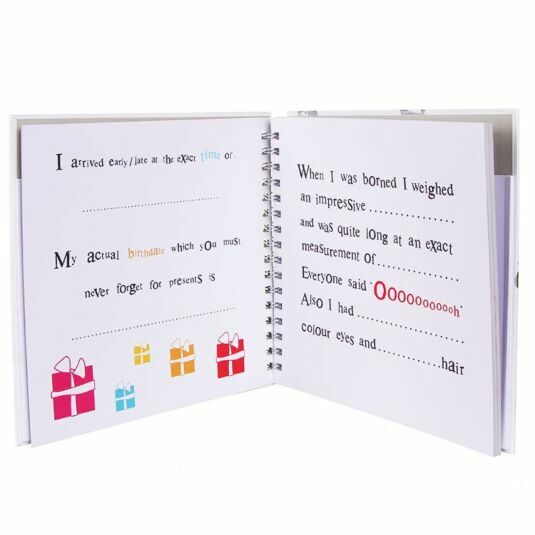 Cherish those special memories as a parents or those close to a new born with this The Bright Side Little Mini Person Baby Book, the most special of gifts for any expectant or new parents, and perfect as a christening gift that will be welcomed by all.